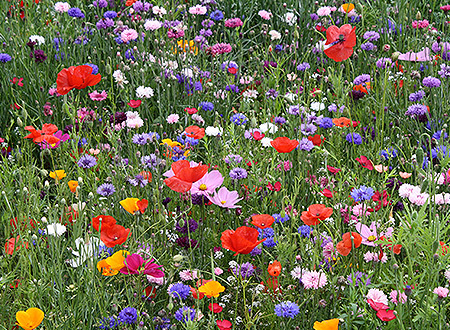 With over 30 years’ experience in extensive trials at our Wunstorf facility, custom flower seed mixtures are our specialty! 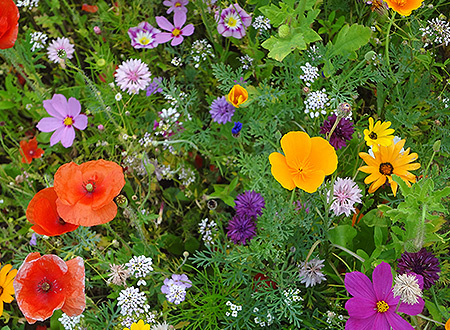 Our botanical staff can assist you in creating the perfect mixture to fit your needs, whether it is a retail product for cut flowers, a single color mix or a mix for specific landscaping purposes. Of course we can also mix according to your formila. 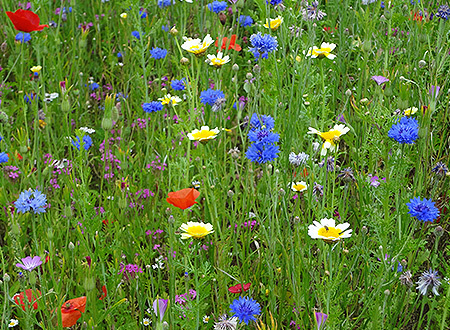 We pride ourselves on honesty and accuracy in all our mixtures. Here is just a small sample of some of the mixtures we offer. 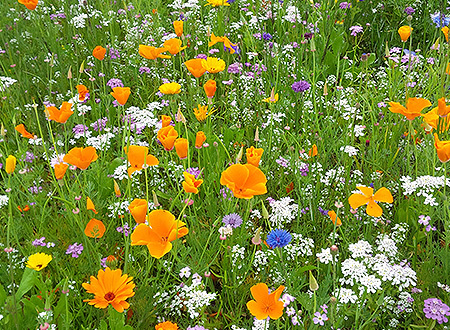 Colorful, long-blooming wildflower and meadow mixtures are our specialty at FSH Seed. 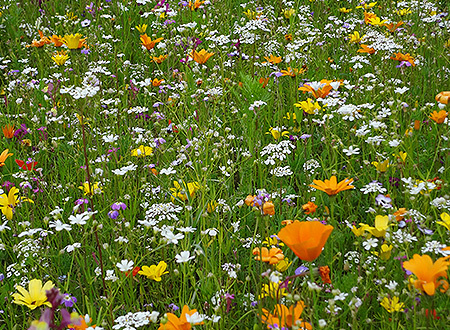 We have been growing and testing flower seed mixtures for over 30 years in our trial grounds in Wunstorf, Germany. 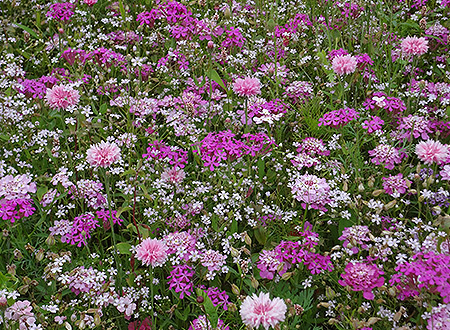 Our botanical staff knows how to combine flowers to provide excellent color schemes and sequence of bloom or to meet other landscaping requirements. 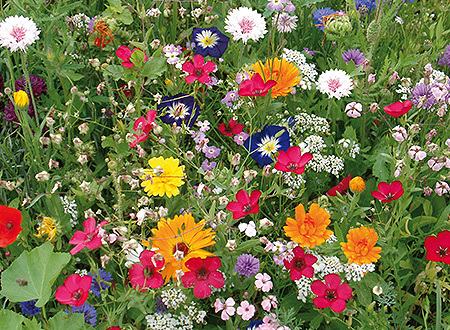 Our customers have a range of mixtures to choose from including (but not limited to) Old-Fashioned Farmyard, Flowering Fence, Flowering Bouquets, Field of Flowers, Early Bloomers, Japanese Flowering Carpet, California Spring, Confetti, Daisy, Butterfly Garden, Summer Express, Summer Potpourri, Annual Flower, Urban Jungle, European Wildflower Meadow and Magic Carpet. We can also mix to your specifications or create a special mixture to meet your requirements. 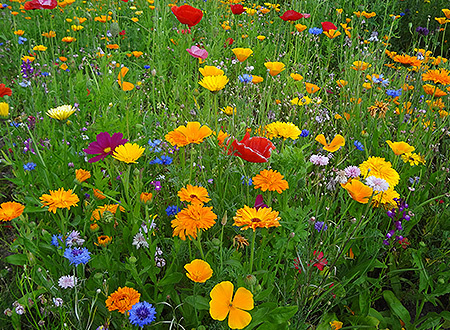 In addition to their use in retail products, FSH flower seed mixtures can be used by towns and communities for beautification.